Half game show. Half party. Thats how we describe it. One Bingo caller calls out the numbers and his budding DJ play songs from the 80’s and 90’s that rhyme with those numbers. 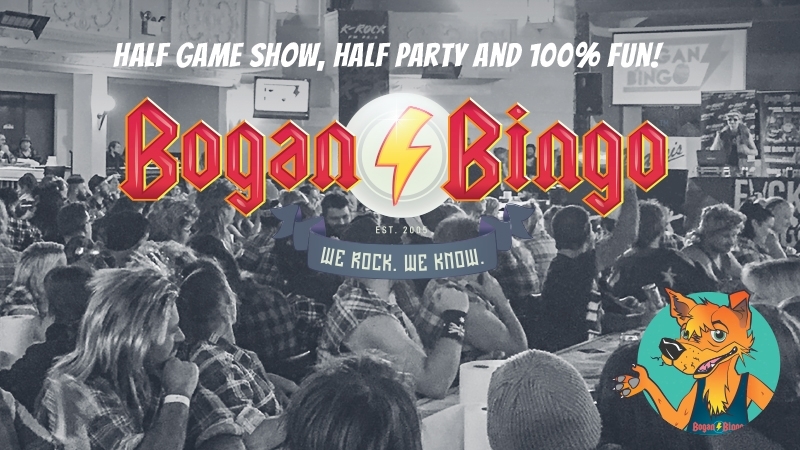 Throw in some jokes, tributes and spontaneous air guitar competition and you’ll soon see why Bogan Bingo is a must see event. There will be comedy laughs of a weekly open mic night, the crowd focus of a trivia night, and the music of an 80’s themed tribute and fancy dress night. What a night it will be! All you need is a little sense of humour and the ability to laugh at yourself and celebrate that little bit of Bogan in us all. Tickets: $30 includes Bogan Bingo, Bogan Finger Food and donation to Currajong Disability Service.